Welcome to Chris and Geneviève's real estate website! Our mission is to provide each client a superior customized service, helping you achieve maximum success with minimal stress while fulfilling your real estate goals. We strive to build lasting relationships with our clients and to remain our regions most trusted real estate professionals. 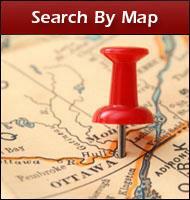 Thinking of buying or listing your home for sale in Ottawa East? Want to explore the red hot Orleans real estate market or look at Rockland homes for sale? Need to list your property for sale in Cumberland? 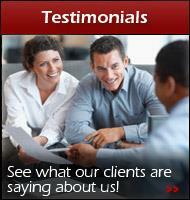 If so, Chris and Gen are the expert Ottawa real estate agents you are looking for. Whether you want to buy or list your home for sale in Ottawa East, explore the Orleans real estate market, property for sale in Cumberland or Rockland homes for sale, Chris and Gen are the premier Ottawa real estate agents you are looking for. This award-winning team gives you a superior, customized service to help you achieve maximum success in your Ottawa real estate goals. Chris and Gen are highly dedicated to their clients. From first-time home buyers to savvy realty investors, your interests are their top priority and they’ll stand beside you until you get what you want. There is a growing demand for Ottawa East properties for sale. This includes anything from luxury condos for sale in Orleans to spacious homes for sale in Rockland. As your trusted advisors and friends, Chris and Gen will do everything they can to help you capitalize on what is probably the largest investment of your life and maximize your return on investment. They’ll minimize stress and help make your experience as enjoyable as possible. Chris and Gen take great pride in offering “service above and beyond” to help you get top dollar for your property. As part of the RE/MAX power brand, they use leading online marketing tools and techniques to help you stand out from other Ottawa area homes for sale. You also get expert advice on how to stage your home for success and help to repair any small deficiencies. Whether you want to sell your hot Orleans property or invest in budding Rockland, Ontario real estate, sit back and let Chris and Gen guide you as your trusted advisors. There’s no doubt you’ll see why they are the number one real estate agents in Rockland, and among the leading RE/MAX real estate agents in Orleans, Ottawa and Top 1% in Canada. 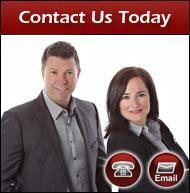 For more information on any and all real estate needs, please contact the Chris and Gen team by phone or email. They are always willing to help and would love to hear from you today! Come check out our real estate listings often!